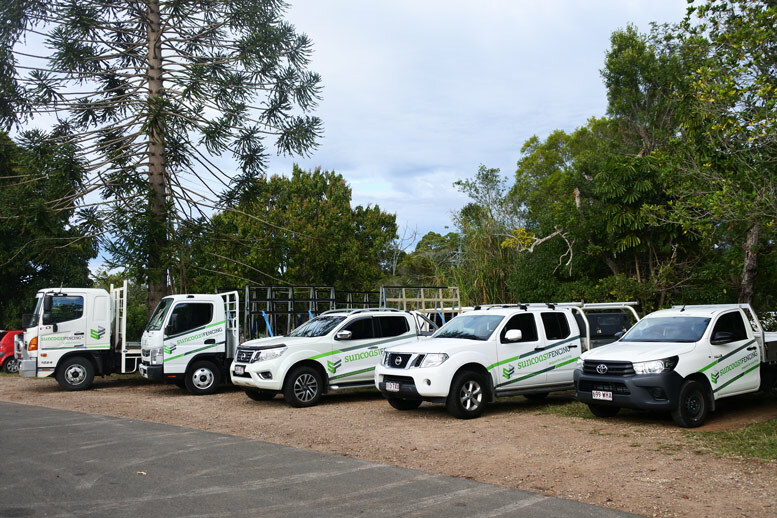 Suncoast Fencing is a family owned and operated business that has been servicing the Sunshine Coast, Brisbane and North QLD region for more than 25 years! We employ around 25 local staff here at our Woombye factory and take pride in providing a friendly, safe and happy work environment for our team and customers. Each of our staff members are highly knowledgeable about our product and process, so you can be sure that when you call us, you’ll have someone to help you every step of the way in achieving all your fencing goals. Whether it be custom decorative screens or aluminium security fencing for your home or commercial space; we have the efficiencies, tools and know-how to get the job done to a higher standard than most. We take great pride in the quality our product and our service, so should you employ the help of Suncoast Fencing, you can look forward to meeting one our friendly staff and finding the perfect fencing solution to suit your needs. For all things aluminium and fencing, you simply can’t go past your local team at Suncoast Fencing. To talk to one of our experienced staff, you can call us now on (07) 5445 4744.